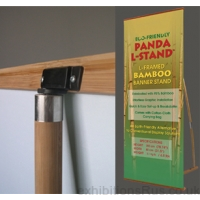 Banner stands, of the non mechanical kind, banner stands with out the roller ability. 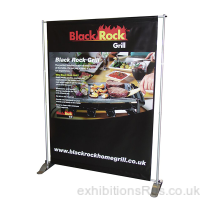 We would refer to these banner stands as tension as they are pole supported or freestanding through the aid of a base plate or a framework system of some kind. 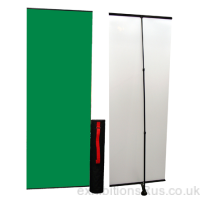 If you are looking for a quick and easy method to create a back wall or back drop than a simple to set up banner stand is just the solution. 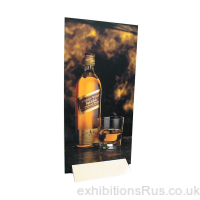 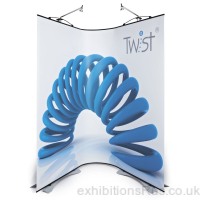 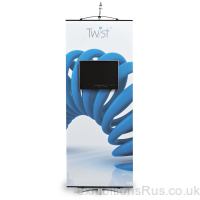 If you need a flexible wall check out the Twist banner stand or the Pegasus that can have various widths. 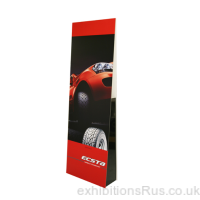 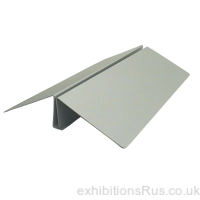 If you need a simple sign board try the Wedge it comes in various widths, if you looking to make a pillar, see our Solus towers and if its a case of the more basic the better, no fiddly set up go for the Uno banner stand a long standing banner stand with years of favour. 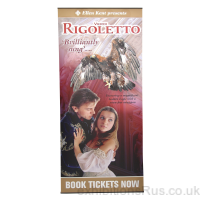 We print to various medias depending on the banner stand of your choice, supply times generally runs at 4 days, quicker by special request, call 01256 768178 with any special requirements of advice needs.